Hello, everyone, this is rekenner – I’ll be writing a weekly wrap up of the week’s ETS event every weekend, usually to be posted on Tuesday. We’re off to an exciting start, as this week’s event was the first event after the release of Jekk’s Bounty – sixteen new cards with potential to shake up the meta. But did they? Stonescar showed highest representation among decks played at 26.8% of the field. Though, as always, players brought a wide variety of unique decks, which combined were the biggest slice of the field. 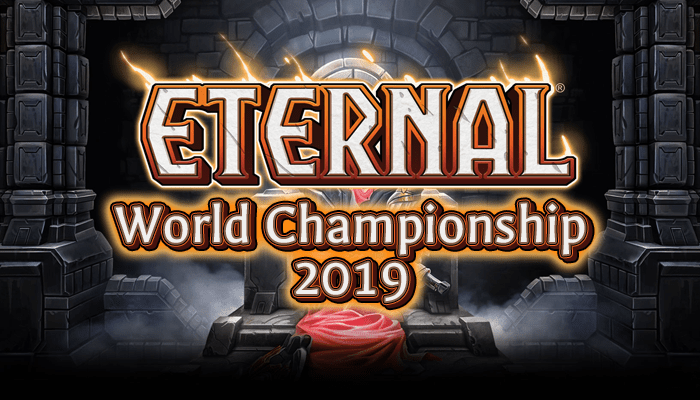 Rakano has been mostly abandoned – Unearthly could not attend this week’s event, so a big weight rests on his shoulders next week to show that his faction can still make a showing. Control had a fairly high representation – many players may have believed that the meta would be slowed down by experimentation. While this was true to an extent, enough players brought tried and true decklists to prey on this driving Control’s winrate down to 48.5%. Zero Felnscar variants were brought this week, down from 5 last week, despite that many of the new cards fit very well into Felnscar. The most notable change in winrate compared to the Feb. 11 event was Big Combrei, which had a 66% winrate. Of note, Zanric’s run included 4 Stonescar Midrange decks which he went 3-1 against. He also faced a Big Combrei list and a “Big Combrano” list beating them both. Five of the Top 8 decks were Stonescar variants, but there were 3 different variants of Stonescar in the top 8 – the common cards among all 5, including Sideboard, were Suffocate, Annihilate, and Torch. Champion of Chaos and Argenport Instigator, however, did appear in all of the lists except for Illunga’s. Outside of Zanric’s Burn Queen deck, the rest of the decks were true midrange decks with only a single Flame Blast and two Obliterates between them Both of those cards only appeared in NickDemon’s Sideboard. So, while the”Stonescar Menace” did dominate this ETS event, it’s variety of ways of attacking the meta that are the cause. Stonescar Burn performed poorly this week while Maulers and Jito Queen made no appearances, and Zanric’s Burn Queen entry was the sole Burn Queen deck. This is both a blessing and a curse – these decks do all play differently, but the way to attack them do not line up well. While Armory does well against Stonescar Midrange and can do well against Burn depending on tech options, it struggles against Stonescar Burn. In reverse, Burn Queen can struggle against decks that bring Lightning Storm and other tech against go-wide strategies, but those cards are not as effective against Stonescar Midrange. As shown above, twelve of sixteen cards from Jekk’s Bounty were represented in at least 1 list in the event. Cliffside Porter, Hone, Tyrannize, and Hibernating Behemoth were not in any lists. Quarry, being the most “Spike” of all the cards and the easiest to slot into existing decks, should surprise no one as being the most represented of the new cards. Copperhall Bailiff, however, did surprise me as coming in at a very close second place – it had representation in at least 1 deck of each deck type that was in Justice. Passage of Eons usage was sparse, as only 2 Shimmerpack decks were brought to the event. Shimmerpack is the primary deck that that card can truly get value against with its ability to destroy multiple Obelisks and/or Permafrosts. This card will certainly be a powerful Sideboard card in events to come, if Relic stacking becomes common again. Tricourage, the pilot of the Feln Control list that made it to Top 8, said he was happy with Feaster in his main deck and that it felt strong. He also said that he only brought in Stray into Shadow against Shimmering Combrei. Bait was solely in Stonescar Sacrifice decks, but Illunga, the pilot of the Stonescar Sacrifice list that made it to Top 4 only had it in his sideboard. He said it was only put in against slower, non-shadow decks, but he never drew it. Overall, the primary impact of the new cards in decks brought to ETS does seem to have been refining Stonescar lists, which is certainly not the direction the community would have hoped the expansion would have gone. However, it may have bigger impact in lists that may require a bit more experimentation for the perfect build, like Armory or Felnscar variants, which may be the answer to Stonescar. While I was surprised when I discovered the overall winrates of Stonescar as a faction and Stonescar Midrange as a deck, I don’t believe that we’re close to a “solved meta”, especially this soon after new cards being introduced. Felnscar being a complete no-show and being able to run 3 of the 4 most brought cards may be the silver bullet to this meta. Of course, its weakness to armory may have been a major factor in that choice, but it has access to the strongest range of sideboard options of all of the common decks. The following weeks will be a major test of deckbuilding, as tech card choices and sideboarding are much harder decisions. I look forward to finding out what next week brings!